We’re at the center of it all. Concentric Oil and Gas, LLC is an active mineral buyer and leasehold prospect builder with a proven reputation for fair dealings and competitive pricing. 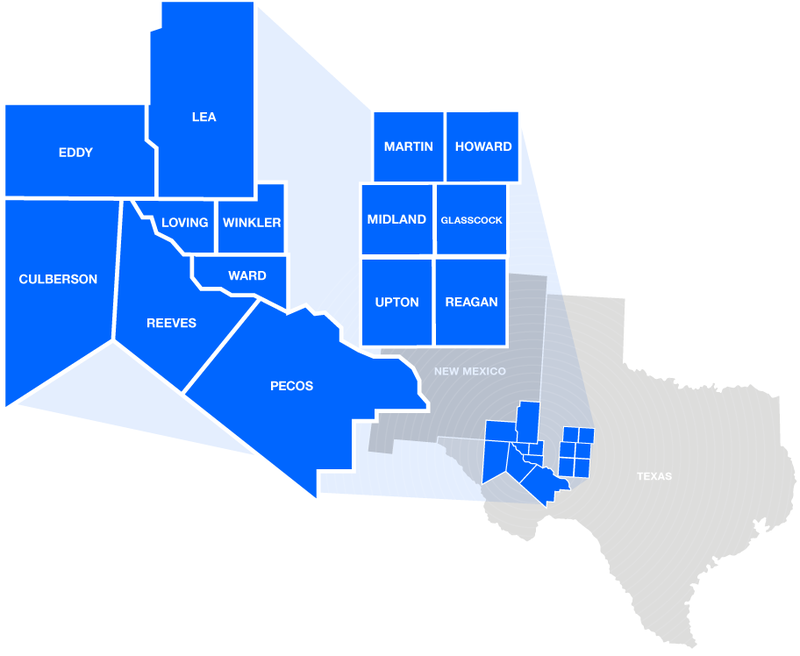 We have over 20 years of experience and specialize in purchasing producing and non-producing mineral, royalty and leasehold interests across the Permian Basin. Concentric is proudly headquartered in Midland, Texas. Do we buy in your county? Are you looking to settle your estate? Need a little extra cash to purchase a new home or to take your family on that vacation you have always wanted to do? Or are you just wanting to take greater control over your assets and invest them in less volatile markets? There has never been a better time to get the best value for your mineral interests. While a depressed oil market from its previous highs, mineral values have remained strong as new technology has pushed the boundaries of the Permian Basin. As active buyers of oil and gas minerals and royalty interests across the Delaware Basin, we understand this market. We are long term value buyers and will quickly evaluate the interests you are looking to divest. We are looking forward to working with you! If you are investment minded and are looking to sell your mineral interests, there is no better way to reinvest those profits, TAX FREE, into another investment, using a 1031 Exchange. There is no limit to how many times you can reinvest a 1031 exchange of the divestment proceeds of one asset sale to another. As long as the exchange is into an investment or business property the IRS will allow the tax-free transfer. Do you have a vacation home or a ranch in mind that you have always wanted to buy? This might be a perfect opportunity to realize these goals. We have many 1031 tax professionals we can direct you to if this is of interest in your mineral divestment.